Choose naturally sweet apples such as Empire or McIntosh to reduce the need for added sugar. For baby’s breakfast, I’ve stirred in oatmeal cereal and ground flax seed. I haven’t tried freezing this recipe since it never lasts long at my house, but if you try, let me know how it works out! 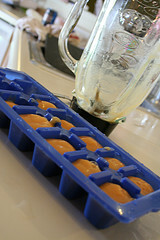 Update – I froze applesauce in 8 oz Ball freezer containers with success! 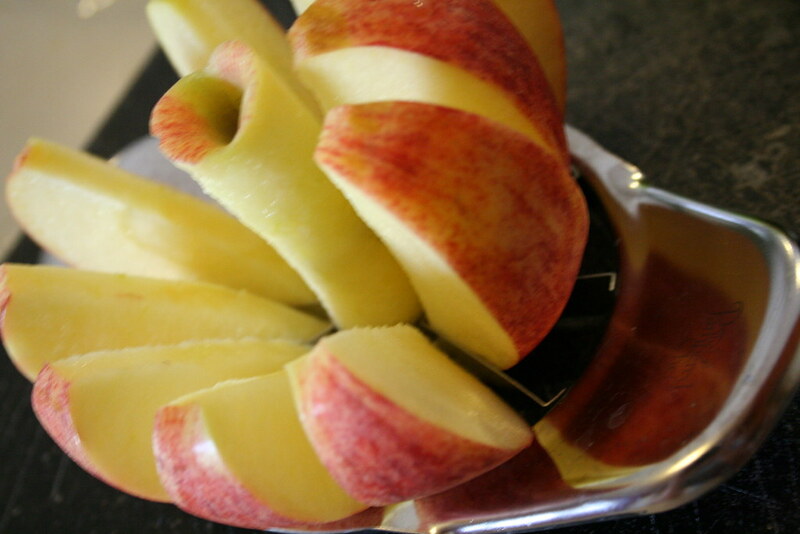 Wash, peel, core and slice apples. Combine apples, water and sugar in slow cooker. Cover and heat on high for 3-4 hours, stirring occasionally. Apples will “mash” on their own, but for younger babies, you may want to blend further. This is a freezer friendly recipe with apples and mangoes. Ripe mangoes usually don’t require steaming or baking since they are naturally soft. 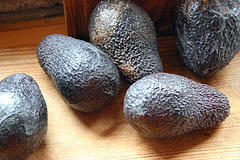 Avocados are considered superfoods, and one of the most easily digestible protein and healthy, unsaturated fats. They provide the perfect ratio of protein, fat and carbohydrates, all in one fruit. 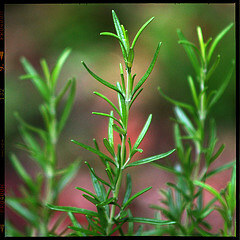 Unsaturated fats are helpful to baby’s developing brain and central nervous system. Additionally, avocado requires no cooking, and boasts the simplest prep process of all of the baby foods I’ve tried, except bananas of course. If you’re going to use only half, leave the pit in the half you are storing and cover tightly with plastic wrap. 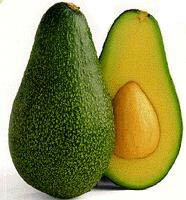 Avocados are best frozen in slices, dipped in a little lemon juice to prevent them from browning. A favorite recipe at my house, Spiced Pumpkin Puree is easy, versatile, nutritious, and plentiful. Gentle enough to be a first food. One medium sized pie pumpkin yields about two quarts of frozen puree cubes. 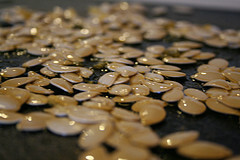 Check out all photos of Spiced Pumpkin Puree at Vanilla Pumpkin’s Flickr Feed.